My initial enjoyment was thrown a bit by some unnecessarily sloppy grammar, but don't let this put you off. The book develops into good quality thriller. However, the version I read does need one more edit. For some reason the standard of editing improved with a few strange reverses as the chapters rolled by. The plot is very exciting, though in places the unsavoury activities didn't actually need even the depth of description they got. 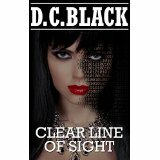 Some of the descriptions of physical assault walk the line between suspense and horror. But yes, the script does depict the terrible realities that victims of perverted sexual crimes sometimes face. It is clear from early on in the story that Black has a good grasp of the technologies that drive the plot, and an interest in some of the wider debates driven by Edward Snowden et al., our general worries about cyber terrorism and financial exploitation by criminals inside and outside our governmental and financial institutions. At first, I thought the book was going to play out like a 1970s American cop thriller. It doesn't. However, I did sometimes feel as though there are two separate stories woven together too loosely around one central plot. In Black's defence I admit that I may well have missed a few connections by reading with to many long enforced pauses. The fact remains though, that I never quite got to grips with which nasty character work for which other. I will not spoil the plot by explaining why the book worked so well despite my minor criticisms. The subject matter is extremely topical, bringing in many levels of concerns about information technologies without ever getting even close to being a geeky read. I am happy to give five stars, even though I would like to see Black put a few more direction arrows and character reminders in the text and certainly to edit again before he publishes book two. I am very curious to know whether my difficulties are well founded, or simply due to my lack of concentration. Other reviews will doubtless help.